Sunday, February 10. I apply for a targeted 100,000/$10,000 spend on the American Express Platinum Business card. Instant approval. Sunday, February 10. I apply for the general AMEX EveryDay Preferred, 15,000/$1,000 offer. Instant approval. After receiving my card, I quickly met the required spend and several days later, the sign-up bonus (or “acquisition bonus”, as AMEX reps call it) posted to my account. Hurray! The day later I signed in again, and noticed that my 15,000 points were missing. I immediately call the number on the back of my card, and the first representative says that card members can only earn one Membership Rewards bonus in their lifetime. Meaning, you can only earn the sign-up bonus on a Membership Rewards cards once. So if you get the Personal Rewards Gold and the bonus, you cannot get the bonus on the EveryDay card. Very incorrect. You’ve had this product before. AMEX limits personal and business sign-up bonuses to once in a lifetime, but even if the card is closed, you can still reopen, get approved and use it (for the benefits, lets say); you just won’t be eligible for the promotional sign-up. You did not meet the requirements because you had a return on your account, less than the (in this case) $1,000 required for the acquisition bonus. I definitely did not have this card before (I keep a log) and AMEX was able to look that up and confirm that this was the case. And in terms of refunds/returns/charge-backs, I only had $11.99 returned… Nothing even close to $1,000, and just in case, I spent over the $1,000. After speaking to the first line representative at AMEX, I scheduled a follow-up with their Membership Rewards department. When that call came, all they were able to tell me is that they opened up an investigation and that I’d need to wait 92 days to see if it posted again and then 4 – 6 weeks after that for the investigation to conclude. Sure, it’s only 15,000 points, but it’s just really odd behavior from AMEX considering that I honestly did not violate any rules. When Should You Start Earning Miles for a Trip? Trip planning can be strenuous, even when going for (nearly) free. With miles and points, there is some foresight thats involved. Mainly: what miles do I need to get where I want to go? So you can just apply for a card, earn the bonus, and then figure out where you want to go–but what if that currency won’t give you the best bang for your mile? Even worse, it’s not the right currency! Planning and organization can go a long way, especially with the new rules for churning AMEX and Chase have recently instituted. Planning and organization of applying for a certain card to take a specific trip will help you minimize extraneous points that you currently may not have any use for. This, of course, is a fictitious scenario (and fastest scenario) and it could take more than 50-60 days to reach the required spend, or it can go much quicker. You can have applied for an been approved for several cards and you will get to spending for some of the bonuses in your second or third month. Or, there’s a delay in receiving your card, or you are searching for flights and none exist. So how long will it take?! Let’s play it safe and say it will take 70-90 or 90-120 days, that’s anywhere from 3 – 4 months to actually have miles that are usable. Then you need to start searching for your flights. 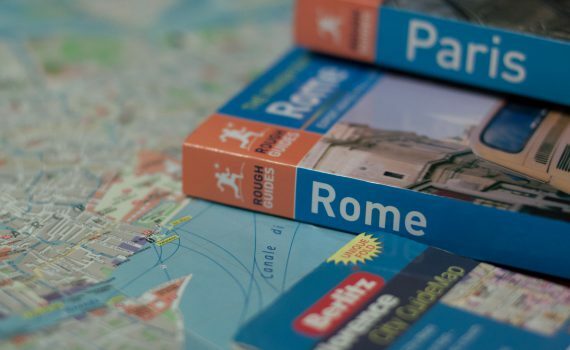 Some routes have availability year round, 2-3 months out, 6-7 months out, or 11-12 months out. Determine where I want to go. What miles do I need/how many of them? Over the period of 1 -2 weeks, conduct dummy award searches to see availability trends. Apply for the card that will earn me enough miles to get me to where I want to go (and how I want to get there–coach, business, first). (4) Conduct 1-2 weeks of award search to see availability trends. For me, this is the most important step. You should not let availability drive where you want to go, but you do need to have enough miles and have the right miles. Once those are planned, you can then research availability trends. 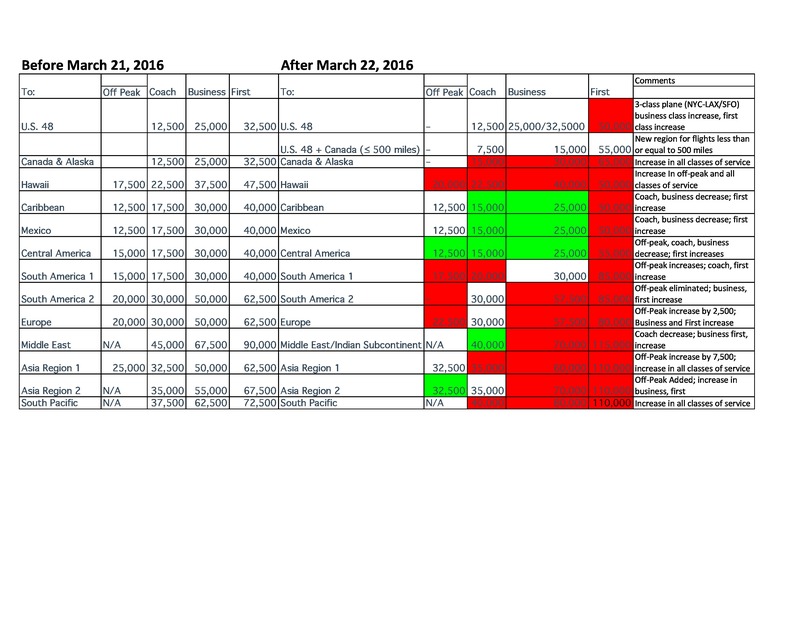 Here’s a chart on which airline search engines return results where you can start your research. Some require signing in, but those accounts are free. 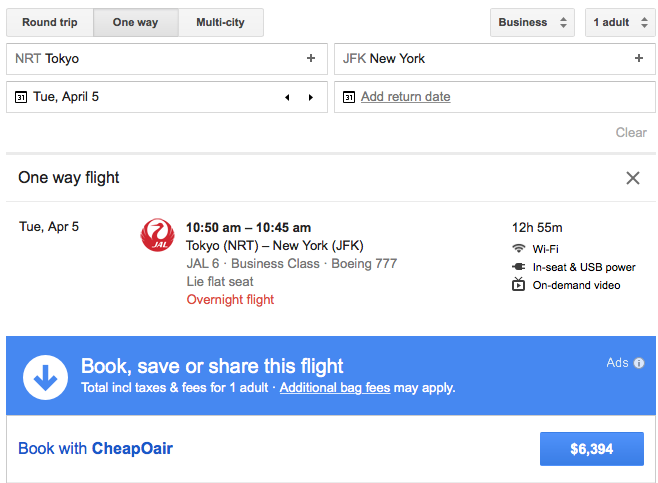 Airline Search Engine Alliance Best for Finding Availability On… Need to Sign in? Easy Calendar Search? Limited Time Credit Card Offers – Sign Up Now! [Disclosure: I may earn compensation if you click on any external links]. There are some limited time card offers I want to share, so get on them now… With strategies on how to get them all at the same time. After all, that’s what churning is all about! Strategy: Can you get all three at the same time? Card 1: Because of Chase’s new rules coming into effect (or may already be in effect), go for the Marriott card first. Chase typically pulls from Experian. Card 2: AMEX is more lenient than Chase with approvals and though they will see the Chase pull (as AMEX often times will pull Experian, as well), they care less. Card 3: Temporarily freeze your Experian report here. Briefly, when you freeze your report you give the credit reporting agency permission to not allow anyone to pull your report–this includes the banks. People often do this for fraud protection, but churners do this to minimize credit pulls. Then apply for Citi, which will alternatively pull Equifax only. They typically pull BOTH, so minimizing those pulls can be useful. I say “typically” because there are some cases where Citi will require Experian to be pulled as well. So, if you’re not automatically approved, be sure to call the number on the application as you can provide them with a PIN to unlock your report. What can these cards get you? Let’s assume you get three of the four cards–that’s 197,500 hotel points! Yes they’re spread across different programs, but diversity can be helpful. As I outlined here, the earning of this Marriott bonus for myself and my wife yielded 5 nights in Tokyo, close to $1,800 value! That’s a good way to double down on these bonuses… But if spend is an issue, I’d still recommend following the order above for one person (unless you have a specific redemption in mind). Marriott has a lot of properties, as does Hilton, but their highest category is 50,000 points; whereas Hilton’s highest category can cost 75,000 – 90,000 points! Wow. That being said, you can (and may want to) spread those 75,000 points for multiple nights. As always, this really depends on your travel plans. 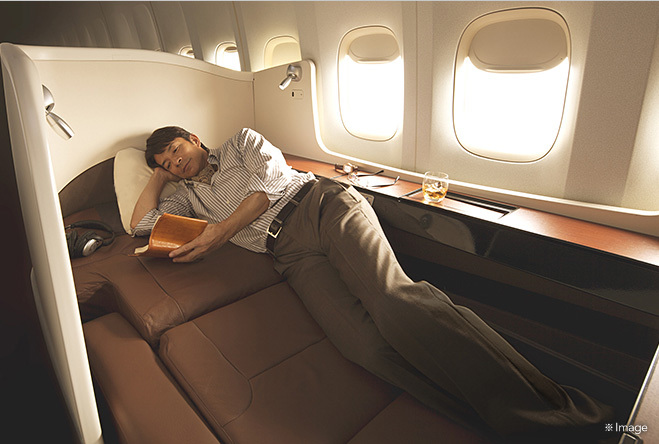 The SPG card gives you the ability to transfer your points to some unique airlines. If that’s what you’re after (and not a separate airline card), the SPG card can give you 38,000 hotel points, or about 50,000 airline miles–remember transfers are 1:1, except when transferring 20,000–you earn a 5,000 bonus.. If it’s for hotels, the Marriott card and HIlton cards can go pretty far. If it comes down to spend, I’d go for the Marriott card as it’s a Chase product, which may soon be more difficult to get approved for. PRO-TIP! Where can I find out where the banks will pull credit form in my state? Be sure to use creditboards.com, an invaluable resources. Just enter the card name or it’s variation (AMEX, or American Express) and the state to get the most broad results. Which card will you sign up for? Need ideas for where to use these points? Hit the comments! 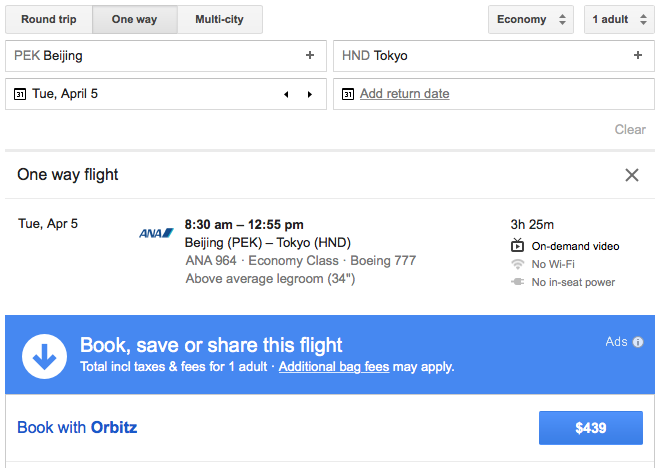 How We’re Getting to Asia Using American Airlines Miles – A $22,800 value!! Tomorrow is the last day to book your AA awards at (mostly) lower prices. 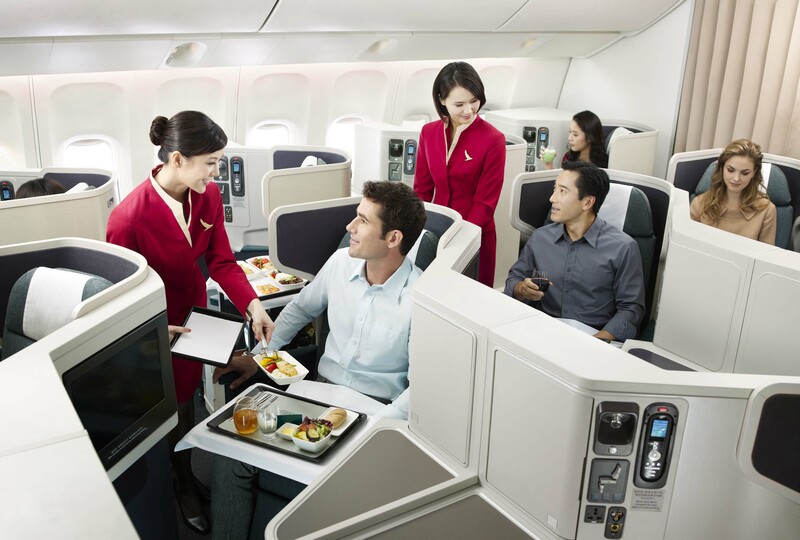 One of the best values in the points and miles world for premium travel to Asia is using your American Airlines miles to fly Cathay Pacific Business or First or Japan Airlines Business or First. Prior to the merger between US Airways and American Airlines, Barclays increased the bonus from 40,000 to 50,000 US Airways Miles. The card had an annual fee but no spend requirement! Both the wife and I opened these cards up, netting us 100,000 miles each. Later that same year, my wife applied again and earned the bonus again! (It’s hard, but it’s certainly possible to earn Barclay’s bonuses while you currently have their card product open). 150,000 U.S. Airways miles. Finally, I opened up the Citi AAdvantage Business Card to earn 50,000 miles. At that point, it was only a matter of time before the frequent flyer programs merged and thus point balances would merge, too. And merge they did, netting us enough miles for two one-ways in Business Class on Cathay Pacific from New York to Hong Kong – Beijing. In the other account, the 100,000 transferred over, earning us enough for the return from Asia 1, or Japan, at 100,000 miles (50,000 per passenger), in business class. The estimated total value of this trip is around $11,400 per person, so a total of $22,800! American and Citi offer 4 American Airlines Credit Cards. Here they are with their bonuses (remember, only sign up for them when they’re at their highest!) and spend requirements (indicated by the “/”). Remember: With Citi applications, you can open up 1 of these cards on Day 1, a second card on Day 8 (or 9 to be safe) and then day 65 (or 66), a third card. Declines count towards these day limitations. Remember, if you transfer 20,000 points to any of their partners, you earn a 5,000 bonus, so it’s effectively 1:1.25. If you have AA points balances, use your miles before March 22. 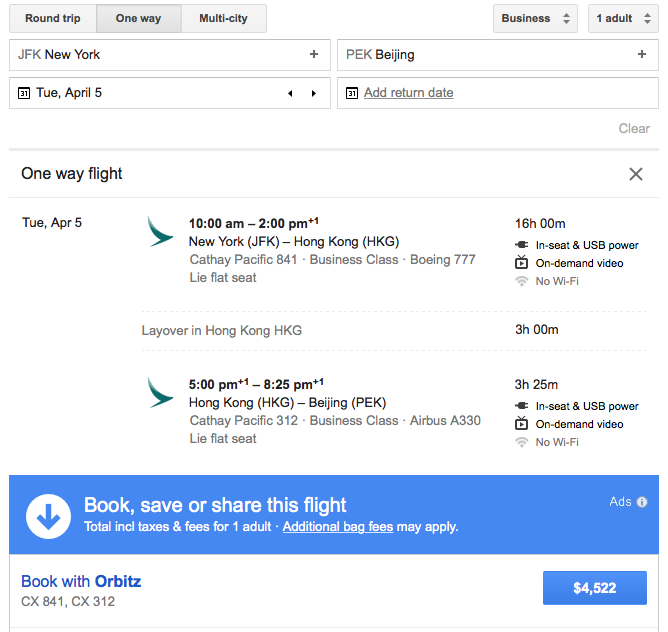 If you don’t have any/enough AA miles now but still want to get to Asia 1 or 2 in style, Business Class to Asia 1 (on Japanese Airlines) and Asia 2 (Cathay Pacific) will still be in reach. 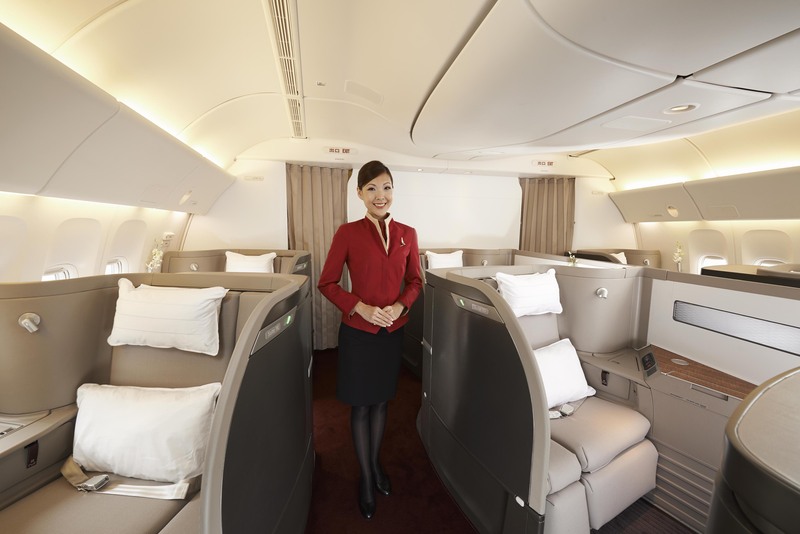 First class to Asia 1 will still be attainable by many, and not as bad as First Class to Asia 2 which is increasing by 48%! What award will you book before the devaluation? I already wrote about the strengths of the Chase Sapphire Preferred card, but I wanted to highlight some of the great uses I’ve gotten out of the card, and other uses friends and clients have gotten out of the card. The earning structure on this card is solid, but it’s not the best card for daily use. Sure, 2X on Dining and Transportation are useful, but there are other cards with other transferable point currencies which earn 3X on those categories. Add an authorized user and after one purchase (of any amount) on that card, and earn an additional 5,000 points. After the base spend ($4,000) plus the sign-up and authorized user, you’re looking at 59,000 points. Now if you and your domestic partner/spouse were to get this card, you could both earn the same bonus and share the points between you two, which would give you 118,000 points. Short hauls between New York and D.C., New York and Chicago, New York and St. Louis by transferring points to British Airways. What can 59,000 or 118,000 Ultimate Rewards points get you? You can also transfer any points earned on the Freedom or Freedom Unlimited. The bolded partners are where you’ll get the best value for your points. I would rarely ever transfer to Marriot, IHG, or Ritz-Carlton. Primary Auto Rental Collision Coverage–Be sure to pay for your car rental when you travel with this card and waive the auto collision coverage the rental companies will try to sell you. This card will cover it. With transferable point currencies, possibilities are pretty much endless. Click here to apply and start getting on your way today. 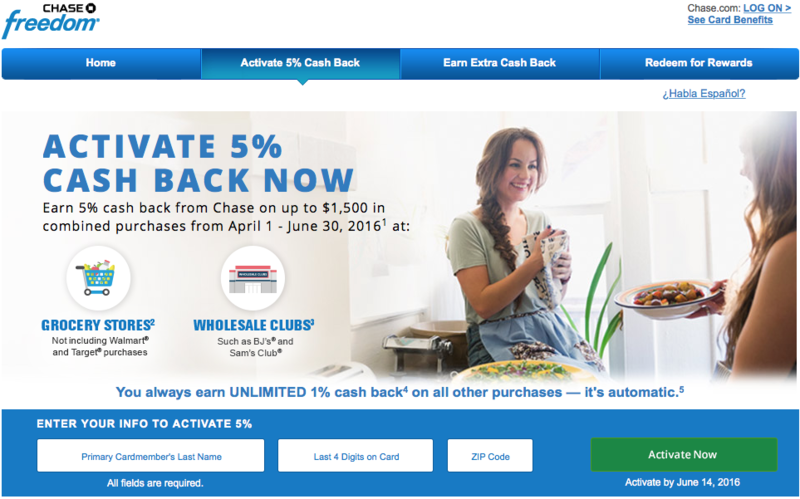 Activate Chase Freedom Q2 Today – Grocery Stores & More! Yesterday Chase Freedom cardholders could activate their Q2 Freedom categories, which include grocery stores… and more! Grocery stores is usually a category (and a popular one!) on this card, but per the site, they’ve added BJ’s Wholesale and Sam’s Club. Should be easier for members of those clubs to max out this category. Is this 5X bonus capped? Yes; Chase Freedom categories are capped at $1,500–per quarter, so you can earn up to 7,500 Ultimate Rewards points. What can these points be used for? They can be used for cash back, or if you travel, you’ll get great value out of transferring these points to your Chase Sapphire Preferred (review here) or Ink card(s). When is this bonus good from? This bonus starts April 1 and ends on June 30; be sure to activate by June 14, but there’s no reason not to do so now. $1,500 in groceries may be a lot of some people, but many grocery stores sell visa gift cards (which can then be used later for non-grocery spending) or merchant gift cards (think Amazon, Staples, Fandango, AMC, etc.). It’s an easy way rack up some extra points if you’re going to frequent those merchants anyways. $25 gift card (airline) to the first person who comments correctly on why I substituted ‘Dallas’ for ‘Houston’. A few weeks back I posted about the upcoming AA Devaluation. And the day is almost here. Try not to wait to book anything in red (especially first class awards!) and do wait to book the awards in green until March 22. You can book 331 days from today (or March 21) and American will let you change your award dates at no extra cost (as long as the origin and destination remain the same). The agents should not charge you the mileage difference of the old vs. new chart; if they try, ask for a supervisor, or hang up and call again. Example: Today you book a business class ticket from New York to London for 50,000 and then after March 22, you want to change the date and the ticket to First Class, you should only be charged the old award chart rate of 62,500 not 80,000. What will you book before the devaluation? *Rules & restrictions apply: One winner will receive a airline (American, United, Delta, jetBlue, Southwest, Frontier, Spirit, Alaska, or Hawaiian) gift card of $25.00 (twenty-five dollars). First person to comment correctly on this blog post in the comments section will be the winner. Must have verifiable email address. On Friday I wrote about what I don’t post about, the primary focus being manufactured spending. One of the most common questions clients and friends ask me is “how do I satisfy the spend requirements for so many new cards?” Though, per my policy, I do not go into heavy detail, some advice I do give can be applied here. Put every purchase on a credit card–avoid the places that have a minimum spend requirement or charge a fee for credit card, because then you’ll end up spending money you aren’t intending to. Putting every purchase on your new card will quickly add up, and thus, satisfy those spending requirements. Only sign up for cards knowing you can meet the spend–Don’t go hog wild opening up 5 cards and having $15,000 in minimum spends you can’t meet. 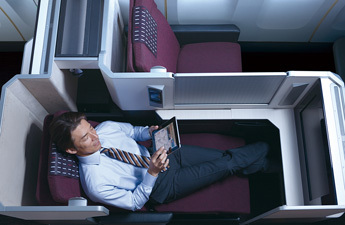 Sure, this will take you more time to accrue the miles, but you’ll be ensure that you actually earn the bonus. Sign up for new cards before big purchases–Hopefully, you plan your big purchases: new car, moving to a new apartment/home and need to get new furnishings, planning a wedding, or some other big life milestone moment: these are easy ways to reach your spend. 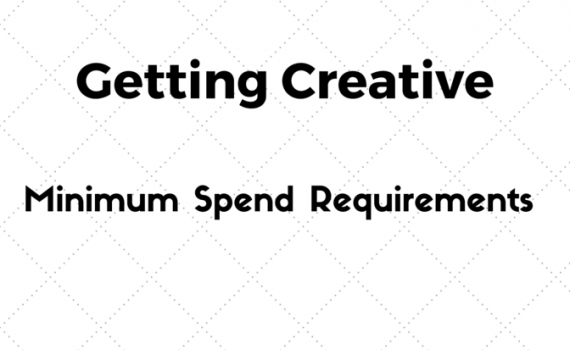 That being said, here are some everyday creative ways you can meet the spend requirements (some may be pretty obvious/common, some maybe not). Put every transaction on a credit card–See above. Prepay your utility bills–some utility companies let you prepay over your currently owed amount. They will charge a flat convenience fee whether you pay $50.00 in gas/electric or prepay $1,500.00. Charitable donations–sure you can write a check, but most organizations will take a credit card and not pass on the fee. Medical bills–The health provider wants you to pay your bill, so they also take credit card. As above, a check is easy, but so is credit card. Plus you get points. AMEX Auto Purchasing Option–Title says it all; up to $2,000 at select retailers. Work expenses–Travel for work, or dine out on their dollar? Ask if you can charge and be reimbursed. Dinner with friends–You may already do this, but instead of splitting the bill 36 different ways, get your friends to let you swipe and have them QuickPay or Venmo you their balances. Peer-to-peer payments–These options should be used as a last resort, as they will charge a fee anywhere from 2 – 3% on top of your charge, but they may be worth it if you have no other way of meeting the spend requirement(s). Really number 1 is the most important, and you may already be practicing some of these, but if you’re not, and there’s no fee, you’re missing out! United miles expiring? Earn 1000 free United miles just by signing up for the dining rewards programs. 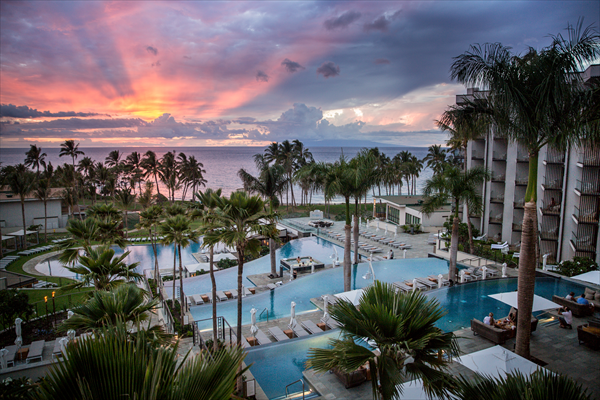 Signed up for the SPG Personal or Business card at 25,000 or 30,000 points? It’s worth calling the number on the back of your card to see if they’ll goodwill match you 5,000 – 10,000 points to the new 35,000 point offer. Read here. 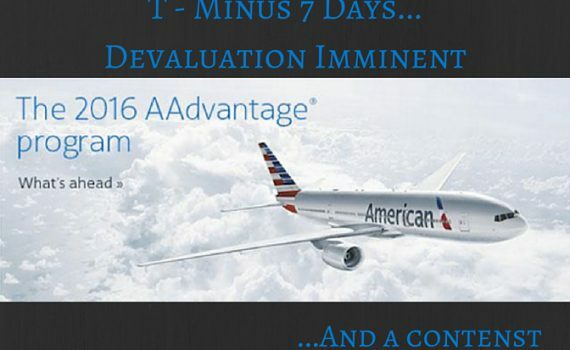 Adding insult to injury on the upcoming AA devaluation, American is increasing their Level 2 awards for Australia and New Zealand. Do co-branded airline cards increase upgrade chances on flights? 3 new jetBlue cards from Barclays. Sign up bonuses at 30,000, better than AMEXs original 20,000. Analysis here. Chase Freedom Ultimate available in Branch today and online tomorrow (supposedly). Newly minted CEO of United, Oscar Munoz has recovered from his heart transplant and will be back at United soon. Why Don’t I Post About… Manufactured Spending? 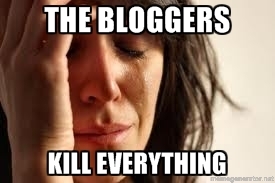 When bloggers post about these things, they die. These are just a handful of methods over the past several years that have died. Of course, new methods come and go, as will anything in any hobby, but over the past few weeks the miles and points world has been hit harder than normal. So how do you discover new methods? Read. Read a lot. Any hobby takes time, and if you want to be serious about earning and burning, and you need access to fake spending, then you have to take time to do the research, read forums, and join groups. Share everything! Why should these methods be limited to a select few? We all want to travel for free! 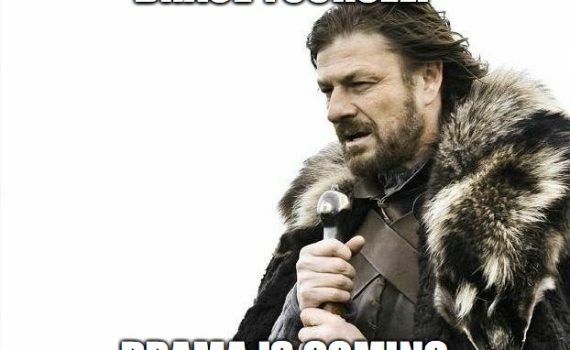 Share some things… Those things which already are so well known, and will die eventually, with or without blogger intervention. (Amazon payments comes to mind). Share nothing overtly; drop hints and point people in the right direction, but spoon feeding or methods on life support are never shared. A majority of blogs I read take the second stance, the “happy medium”, if you will; one blogger (who shall rename nameless) in a bowtie posts everything, such as how he opened up five Alaska airlines credit cards in one day. Now you’re lucky if you get two. I take the third stance. Do you agree, or disagree with my decision to not over share?